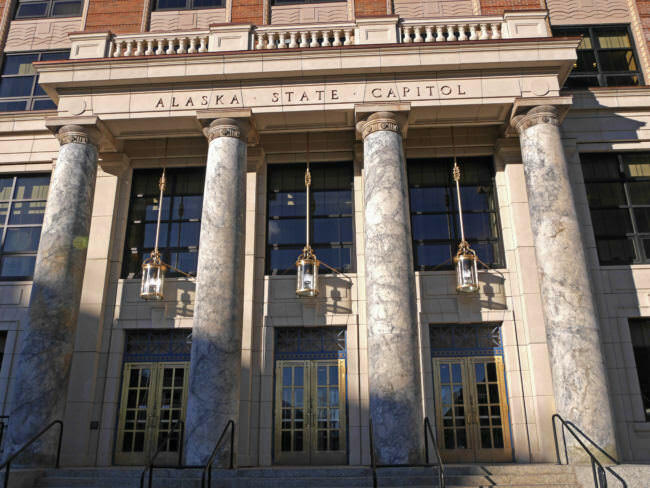 Alaska Republicans sounded confident Tuesday that preliminary election results will put them back in control of the state House after a two-year stint in the minority. Lance Pruitt, a veteran GOP House member from Anchorage, said Tuesday that he expects to determine the makeup of a Republican House majority Wednesday. “I believe that we’re going to be able to announce a Republican-led majority, based on what I’m seeing,” said Pruitt, who led Democrat Liz Snyder by less than three points in the race for his East Anchorage seat. For the past two years, the coalition majority in the House has consisted mostly of Democrats – it was 17 Democrats, three moderate Republicans and two independents. But preliminary results Tuesday showed the coalition losing three seats. In Fairbanks, Republican Bart LeBon narrowly led Democrat Kathryn Dodge in the race to replace Democratic Rep. Scott Kawasaki. In Anchorage, independent Rep. Jason Grenn was more than 350 votes behind Republican challenger Sarah Rasmussen. And in Homer, Republican Sarah Vance had a lead of more than 1,000 votes over Rep. Paul Seaton, a former Republican who dropped his party registration this year to run for re-election with support from the Democratic Party. Seaton was first elected to the House since 2002. One Democratic leader, Nome Rep. Neal Foster, was still hoping that some tight races could tip toward the current majority. “Sounds like we might be down a little bit. And I guess we’ll just have to wait til tomorrow, and I think what it’s also going to come down to, though, is absentee ballots and we’re just crossing our fingers,” said Foster, who was unopposed in his own re-election bid. House Republicans have already scheduled a meeting in Anchorage on Wednesday morning to organize a new majority. In the Senate, Republicans were expecting to claim at least 13 seats and will likely maintain their majority. One seat was still up in the air after Tuesday: the race between Republican Senate President Pete Kelly of Fairbanks, and Kawasaki, the Democrat who’s currently in the state House. But Republicans were already claiming a mandate from voters. “It means we protect the Permanent Fund, grow the economy and don’t have to raise taxes,” said Mead Treadwell, the former lieutenant governor. Democrats weren’t as buoyant. Foster, the Nome representative, said he’s worried that government programs important to his rural Alaska constituents will be cut if the House, Senate and governor’s office are all controlled by Republicans – which could be the result from Tuesday. Foster said he’s especially nervous about a program that subsidizes electricity costs in rural Alaska, which can be six times the national average.